So that new SD card you bought to expand the storage on your Android device isn’t working? Here’s a comprehensive guide to fixing phone not detecting SD card issue right now. While iPhone users are always trying to conserve every megabyte they can spare, most Android users never have to worry about such trivial issues. Whenever your Android storage space seems to be running out, additional gigabytes of storage with an SD card can be a lifesaver. Installing a MicroSD card is one of the best ways to solve the ‘insufficient storage’ problem on Android, and make sure that you have enough room for all your media and other files. However, even with the ability to do so, many users are troubled by the issue of SD card not detected in mobile, along with error messages like “this device doesn’t support this SD card”. This post highlights a number of tried and proven techniques that you can use to completely fix the SD card not detected Android problem. Your feedback is valuable for us, reach out on our forum and we’ll do our best to help out! As infuriating as it can be, the problem of unidentified MicroSD card isn’t a new one. Being a piece of technology which is always prone to faltering, a number of things can be causing the phone not detecting SD card that you have inserted. 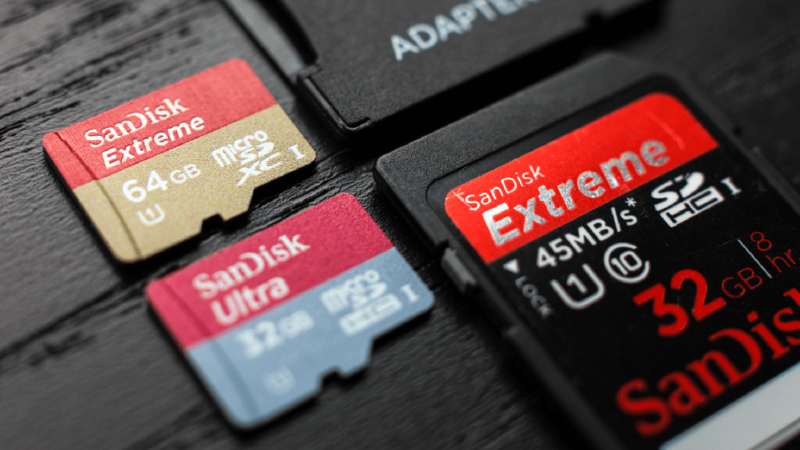 If you have been facing the SD card not detected problem on your Android device, here’s a simplified guide with solutions to all your SD card woes. If you have been using an SD card on your device for a while and it suddenly stops working, this trick might just work for you. Since every nook and cranny on your Android device like the charging port and headphone jack accumulate all kinds of dust and grit, it wouldn’t be unusual if your SD card is covered in filth too. Maybe the reason why your SD card isn’t being detected is that it’s covered with dirt. All it may probably need is a good and gentle scrubbing, so follow the steps below to clean it up. Take your external memory card off your Android smartphone or tablet. Make sure that your device is turned off before you do this. Use a white colored rubber eraser and gently rub the copper piece (gold yellow color) on your MicroSD card to clean off the dirt. 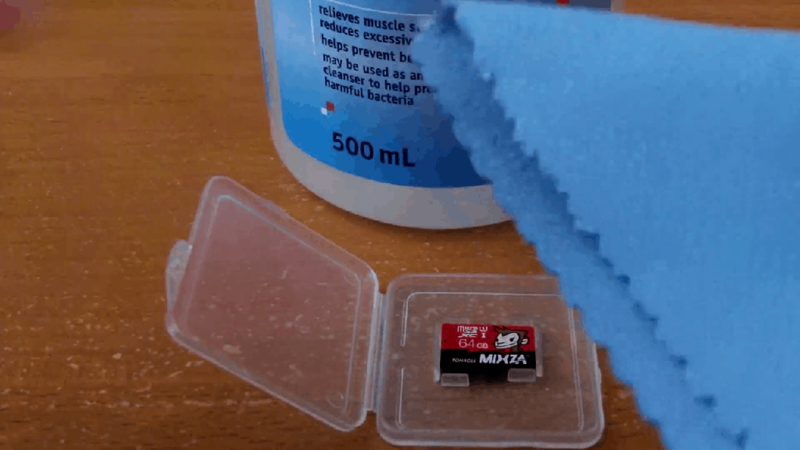 If you have some nail polish cleaner around, dab it in with a Q-tip and gently rub it over the contact points of the SD card to detach any erosion. Let the SD card dry out and once you’re quite sure it’s clean, plug it back into the memory slot and then turn your Android smartphone or tablet on. With any luck, it should work now and you shouldn’t have any more problems with your SD card not detected on your handset. But if the problem persists, move on to the second solution below. This solution may not be a problem for you if your SD card is empty or a brand new one. However, erasing your MicroSD card completely could cost you all of your important images, videos, and other files stored on there. In case your SD card is damaged or corrupt, you saved data is already at the risk of being destroyed. Before you proceed to erase all content of your SD card, try using it with another phone or connect to your computer using a card reader. If you are able to read the data and files of your MicroSD card, the first thing you need to do is backup all your content right away. Once you have your data saved and nothing to lose, you can go ahead and perform a factory reset on your SD card. This is the part where you delete everything on your external storage. Follow the steps below. Head over to the ‘Settings’ app on your device and then scroll down to find the Storage tab. Once you have erased the content of your SD card, reboot your device and check to see if you have successfully solved the SD card not detected Android issue. In many cases, completely erasing the SD card has solved the problem for users. But if it doesn’t work for you, move on to the third possible solution below. At this stage, you need to do something more technical than just wiping your MicroSD card or erasing its data. Since the issues that arise with the phone not detecting SD card can be software related as well, you will need the help your computer to see how the issue can be diagnosed and fixed. Ensure that the device is connected to MSC (Mass storage mode), not MTP (Media transfer mode). You can do this by accessing the notification shade once you have connected your Android device. Launch Windows Explorer on your PC and right click on the MicroSD card driver seen on the screen. In the options that appear, choose Properties>Tools>Error Checking. Wait for the entire process to complete. The computer will attempt to update the driver software for your SD card and fix any prevailing errors that are causing it to malfunction. In most cases, if your SD card is detected by your computer and works perfectly, the issue could be related to the Android device. However, if the above solution does not make the “this device doesn’t support this SD card” message to go away, head on to the next solution. In the case that your MicroSD card is being detected on the PC, but not showing on your smartphone, this means that you can’t erase it using your Android. However, you can use your computer to format the SD card directly, so go ahead and try this fix. Create a folder on your PC’s hard disk storage, and name it as you like. This folder will be used as a temporary storage to backup files on your malfunctioning SD card. Paste the entire content of your microSD card into this folder as a backup. Head over to ‘My Computer”, right-click on your SD card as it is shown among the storage devices and choose the “Format” option and use to erase your MicroSD card. Once the format process is complete, copy back your data you stored on your computer from the folder into the SD card. Eject the SD card from your computer and plug it into your phone and check whether it’s showing up under external storage. If it doesn’t work the first time, you can try repeating the steps again. If this method of fixing the SD card not detected Android issue, then things do seem to look bleak. However, you can still go through the next solution to see if the SD card issue is related to compatibility. One issue that most of the users with old Android phone users face is the fact that the SD card is recognized by their computer, but not on their device. One major reason for this issue could be the fact that your SD card is incompatible with your smartphone. For instance, the latest version of MicroSD cards such as SDXC is built for higher speeds at extra storage capacity. This format of SD cards is not supported by low-end and older Android devices. 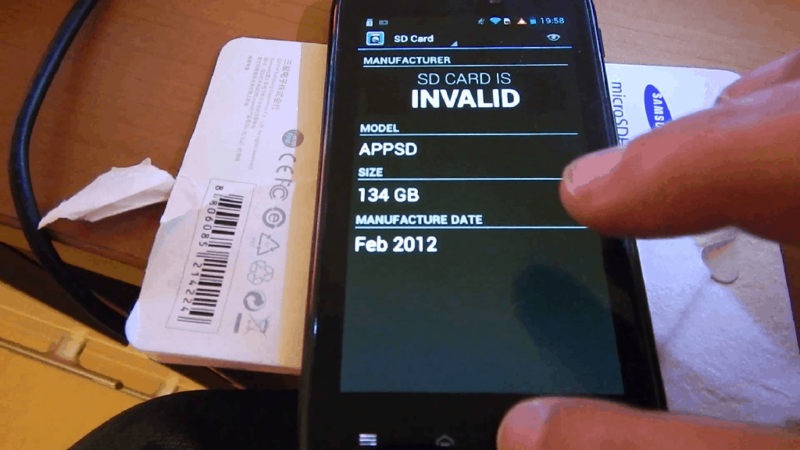 Moreover, most Android devices have a limit up to which they support a certain type of SD card. For instance, if you find that your Samsung J5 SD card not working, this could be because of the fact that you’re using a higher capacity SD card that the phone is compatible with. If a certain SD card is not detected by your Android device, try swapping it with a basic one to see if the problem is solved. To find out more about the authenticity of your MicroSD card, move on to the final solution. While the tell-tale signs on a broken SD card are quite obvious with the rusty connector pins and cracks all over, finding out if the SD card slot is almost impossible. The only way to find out if the phone’s hardware, which is the SD card slot is damaged, is by opening it up and verifying the connector pins and flex cable. To a non-techy user, these details may already seem quite frightening, which is why we suggest you make an appointment with the phone doctor right away. Depending on whether the SD card slot needs to be cleaned out or replaced, this issue will most probably cost you nothing if your phone is still under warranty. Most SD card related issues arise either when the storage device is far too old and damaged, or if the SD card isn’t 100% genuine. Even if you did buy the MicroSD card brand new online, there’s still a chance that the device could be a close rip-off of the original product. If you weren’t careful enough to notice the oddities in the packaging of the MicroSD card, you can still find out if your SD card is a cheap fake or a genuine one with an app called SD Insight. Note: This app is not for if your Android device can’t detect the external storage at all. If you can detect the SD card but experience issues with it, you can use this method to find if it’s a genuine version or not. Download the SD Insight app from the Google Play Store. Insert the SD card into your device and once it is recognized, launch the SD Insight app. You can verify details such as manufacturer name, serial number, year of manufacture and others with the package to ensure that they match. If the SD Insight app gives you a message such as “SD card is invalid” or “Origin is unknown” it probably means that the SD card is either damaged for a fake one. Using this app, you can also verify the actual storage space of the MicroSD card. While there will be a difference of at least 1GB between what the manufacturer states and how much the device reads, but anything more than that should raise a red flag. Were you able to finally grab a solution to the problem of your phone not detecting SD card on Android? Be sure to mention any other useful method for troubleshooting SD card issues on Android in the comments section below, because sharing is caring! For most Android devices, any of these fixes should clear the SD card not detected issue. For some devices, though, the problem could be much more complicated, and you need to explore solutions that are specific to that device to get help. Lucky for you, the Updato Forum is packed with helpful geeks who will be glad to find you a quick solution to SD card not detected Android issue.